I have a subscription to one magazine- This Old House. I follow them on Facebook and watch their show as well. I have been inspired so many times from their projects.They feature small afternoon projects to full scale remodels. I look forward to getting the magazine in the mail each month. I grab my iced tea & cozy on the couch and read every square inch. This month’s edition has a small feature- Armchair travel. 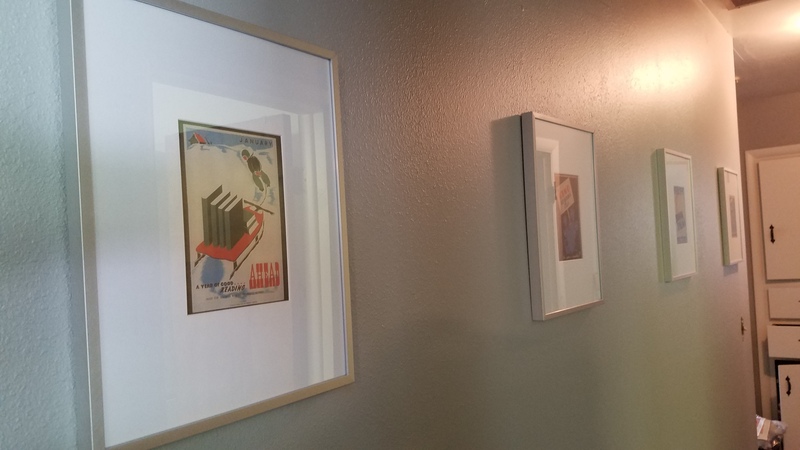 Using FREE art from the Library of Congress, it’s super easy to create a gallery wall. 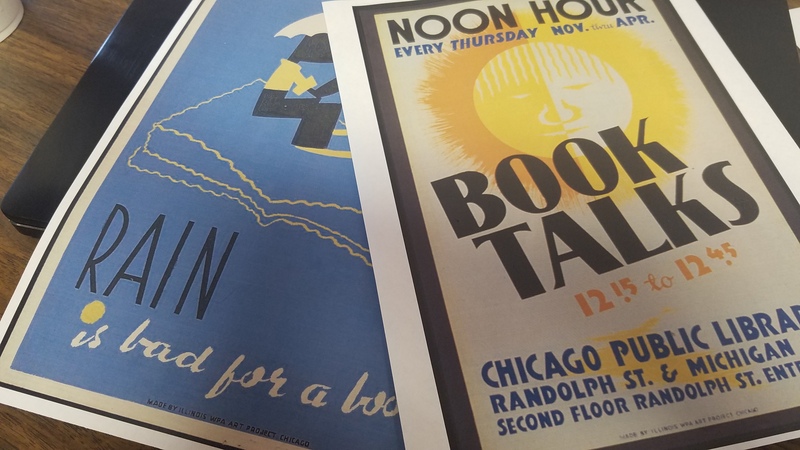 They chose vintage travel images from the 1930s WPA collection. I loved them! I was so inspired that I visited the Library of Congress library website to peruse the TONS of images. While I loved the travel theme, I fell more in love with the book collections. There were some adorable images about books, and since I’m a ferocious avid reader, I chose those. The article recommended saving them on a jump-drive and take to a copy shop to print. Since we have a commercial printer at our office, I just printed them there instead of paying. Since they’re FREE and you can download as many as you’d like, you could have several collections throughout your house. I bought $13 frames at Target and taped the prints securely. In less than 30 minutes, I had some adorable vintage-inspired art for the long hallway wall. Now I don’t have just a huge blank wall! Instead, I have vintage(ish) prints that are unique and charming- and represent me & my reading! If you’re looking to create a gallery wall or just need an accent piece of artwork somewhere, check out the Library of Congress. And check out This Old House while you’re at it! « Is That a Laundry Room? Or a Bathroom?